Easat's transportable coastal radar system is designed to provide an autonomous, rapidly deployable coastal radar system capable of detecting targets at ranges up to 37Nm. 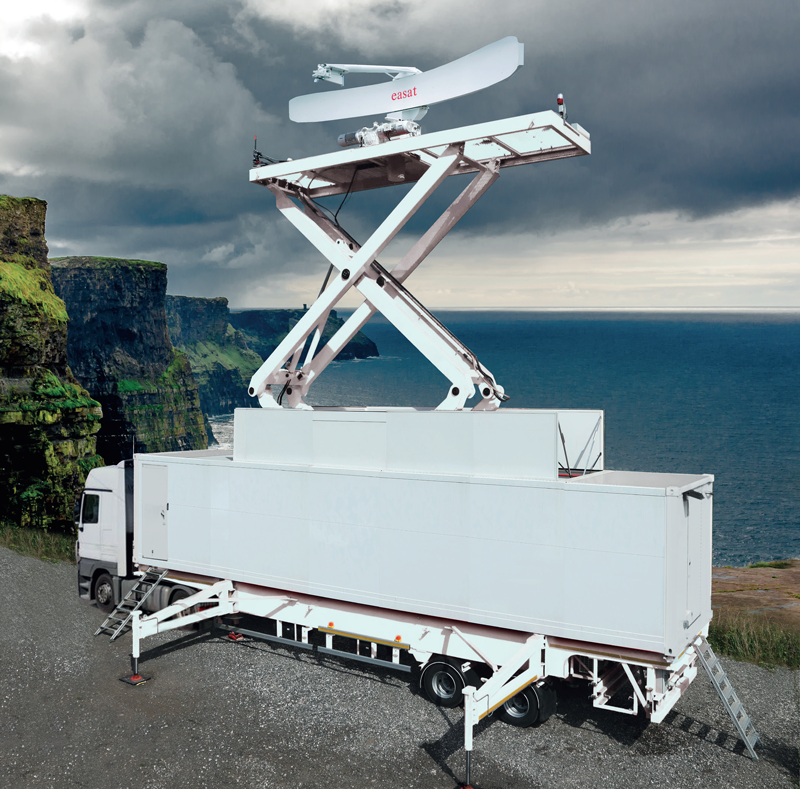 Using latest solid state technology the X band high performance radar offers equivalent detection capabilities as a fixed site coast surveillance system.. The system enables military and coastguard services to deploy covertly to an area where illegal activities are suspected, identify small, unknown vessels and then co-ordinate the interception of these vessels. The system can perform in isolation or form part of an integrated coastal surveillance solution by transmitting data to a central area control centre with the built in microwave communication link. Self-contained transportable coastal radar system.